Europe faces a considerable challenge in providing good quality health care in the forthcoming future as the aging population increases. The phenomenon also results in a considerable cost on society due to the dependency on the public health sector particularly because such individuals would not be able to contribute to the economy. On the other hand, younger persons would need to make alternative arrangements to assist their elderly parents or relatives, potentially affecting productivity. The project PervasIve Nursing And docToral Assistant (PINATA) seeks to tackle this matter through the merging of Ambient Intelligence (AmI) and semantic web technologies. PINATA utilises pervasive devices to aid doctors and nurses to focus on the patient and thus improve the quality of healthcare services. This project proves the significant importance of using wireless technology in healthcare. 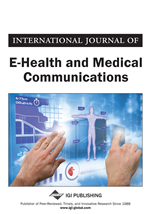 This paper focuses on the use of Wi-Fi and RFID in an effort to enable continuous and intelligent monitoring of patients' conditions remotely. Results show that the detection system performs well (over 80%) accuracy on fall detection and the manual readings mapped 100% with the results collected by the system over the Wi-Fi infrastructure discussed in this paper. The IST Advisory Group (ISTAG) (2005) claims that in an Ambient Intelligent (AmI) Environment, people will be surrounded by intelligent interfaces that are backed by networking technology and computing that is embedded in everyday items. In addition, they argue that an AmI environment should be receptive of the individual characteristics of human presence and personalities by changing in line with the needs of the users. They say that such an environment must be able to react intelligently to signalled or verbal requests and maybe even engage in an intelligent dialogue while being unobtrusive. Moreover, they assert that the interface should not entail great learning curves and should be comfortable and enjoyable to the user. Minor errors can cost vast financial and personal losses in an area such as healthcare, thus a major aim for hospitals and healthcare systems is that of improving functioning effectiveness, however, upholding efficiency and watching over each patient is a difficult task (Pandey, 2011). RFID (Radio Frequency Identification) is a technology that makes use of electronic chips embedded on tags which transmit radio waves, and thus can help recognise products, medical records, assets and individuals (HIBCC).